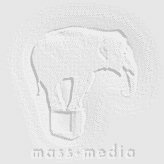 NetControl.net Archive of ::Mass Media Inc. Contents copyright © 1996 by Mass Media, Inc.
on PC CD-ROM. Look for it at a store near you! Nominated for the 1996 Best Sports Title "Codie" award! Winner of seven 1994 AIAS awards, including Best Interactive Film and Best Drama. This ain't no video game, man. It's interactive television, and YOU are the star. Winner of the 1995 AIAS award for Best Interactive Television. Includes a great arcade game, tours of the Hall of Fame, and full motion video from the vaults of NFL Films. Winner of the 1994 Best Sports Game AIAS award. Our live action 'master of cemeteries', the humorously insulting Dr. Dearth, welcomes you to his shooting gallery. Dr. Dearth returns in rare form to host the next attraction in his demented amusement park, a rock'em sock'em roller coaster. In this epic samurai adventure set in 12th century Japan, vast armies of warriors, ninjas, swordsmen and archers are at your interactive command. Spectacular video nature scenes and an original CD score by Jim Andron complement classic Tetris and elevate this phenomenon to new heights. Starring Nickelodeon's Heidi Lucas, this is the "dream date" game. You and your friends check out thirty of the coolest guys in the universe and then go out on a fantasy date with the one you choose. Award-winning children's title: Travel back in the Time Machine 200 million years. Locate each dinosaur before the Brain Blobs take control. Dexter will help you, along with the Time Machine's invaluable Dino Encyclopedia. Heart pounding action, majestic tournaments, heroic battles and beautiful maidens await those bold enough to venture forth as Defender of the Crown. Want to play a little Online Video Poker? Features a progressive jackpot, high scores, a chat function, and "fabulous" prizes! A message from our technical guru: Linux Rules!